New Delhi : Foreign Direct Investments worth Rs 206,527.38 crores was seen in one year under the Narendra Modi government between the duration of October 2014 to September 2015. The data was released by Nirmala Seetharaman, Minister of Commerce and Industry in a reply to a starred question in Lok Sabha raised by Om Birla on Monday. The foreign investments have increased by 48% as the government’s ‘Make in India’ initiative was launched with an aim promote India as an important investment destination and a global hub for manufacturing, design and innovation. In her reply to MP Om Birla, the minister also highlighted that India progressed from 142nd position to 130th position as per the World Bank Doing Business Report, 2016. India’s rank has improved in ‘Starting a business’, ‘dealing with construction permit’ and ‘getting electricity’. Twenty five sectors have been identified under the ‘Make in India’ initiative. 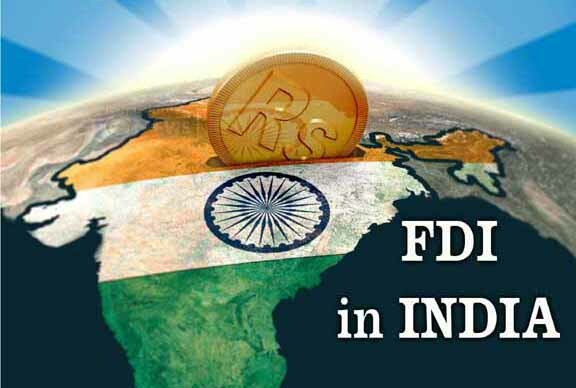 Moreover, there have been reforms in 15 major sectors of the economy by putting more FDI proposals on automatic route. In her reply, the minister said, 20 services have been integrated with the eBiz portal which will function as a single window portal fir obtaining clearances from various government and government agencies. These include Commencement of Business, Foreign Collaboration-General Permission Route, Employer Registration, Industrial License, Foreign Currency – Transfer of Shares among others. The Department of Industrial Policy and Promotion has also requested all Secretaries of Government of India and Chief Secretaries of States to simplify and rationalise the regulatory environment. Citing an example of the improvement in various aspects, the minister said, the time required for getting a new electric connection in Mumbai has reduced to 21 days, down from 67 days, registration of VAT in Delhi has been made online.